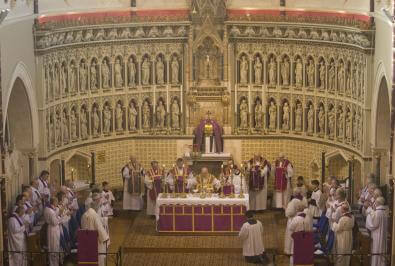 The Requiem Mass took place in our church on Thursday 21st January for the Rt Rev & Rt Hon Mgr Graham Leonard, KCVO, PC. Monsignor Leonard was the Anglican Bishop of London, and in retirement was received into the Catholic Church, where he became a priest of the Archdiocese of Westminster. 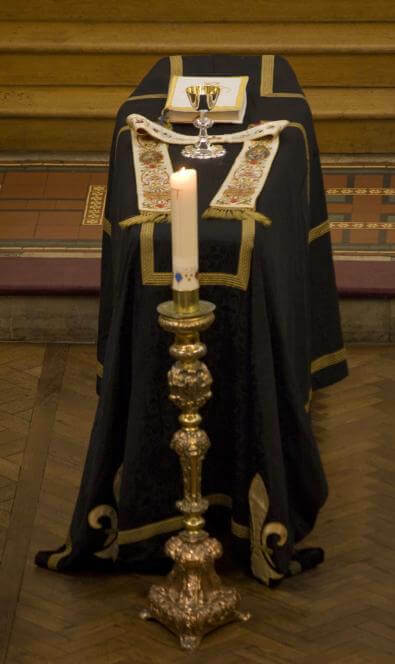 Bishop Alan Hopes, Auxiliary in Westminster, was the main celebrant at the funeral. 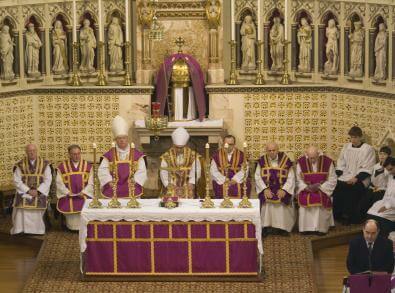 He was assisted by Bishop William Kenney and thirty-four other priests. 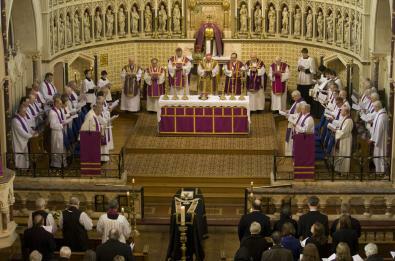 The Anglican Bishop of London was represented by the Bishop of Edmonton, and the Bishop of Woolwich and Bishop Emeritus of Paramatta were also present.